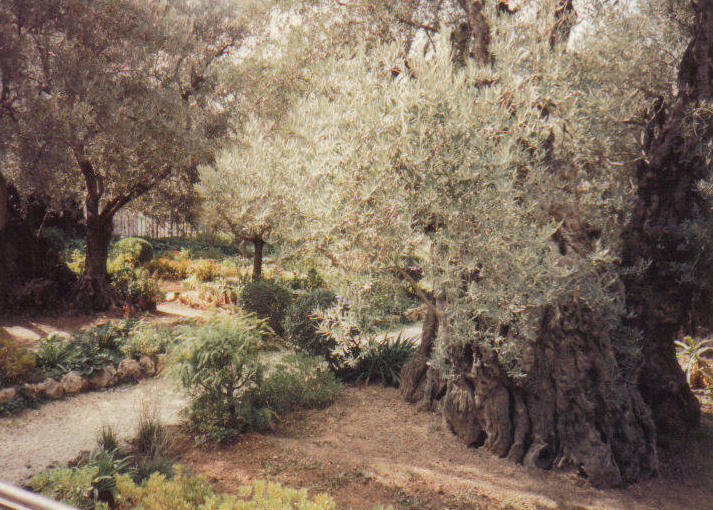 present दिन garden of gethsemane. . Wallpaper and background images in the येशु club tagged: photo. This येशु photo contains बीच, बीच पेड़, बीच के पेड़, पुरान बलूत, लाइव ओक, live oak, and पेड़.